Dr. Noguera and Dr. Click are committed to continuing education. They strive to provide the highest level of endodontic care to their patients, utilizing the latest techniques and equipment. Materials and technology advance rapidly, and it is important to keep up to date. Dr. Noguera and Dr. Click attend continuing education lectures throughout the year to ensure their knowledge and skills are current. 04/04 DC Dental Society, "Symposium for Licensure", Multiple Speakers, 6hrs. 02/05 GWAWD, "The Digestive System: From Gingivitis to the Leaky Gut ", Dr. Farah Assadipour, 2hrs. 1/22 AAE, "Regenerative Procedures for Immature Taumatized Teeth", An online Class, 1hr. 1/8 DC Dental Society, "Monthly Meeting - Peri-implant Soft-Tissue Development and Preservation for Optimal Long-Term Esthetics", Dr. George Priest, 2.50hrs. 12/12 DC Dental Society, "Monthly Meeting - Suspicious Oral Lesions", Dr. Kitrina Cordell, 2.50hrs. 12/05 GWAWD, "Introduction to Laser Dentistry", Dr. Pohlhaus, 2hrs. 08/08 College of Diplomates,"The Opiod Crisis - How Did We Get Here and What Do We Do Now? Implications For Dental Practice. Managing Pain in The Era of The Opiod Crisis. Non-Pharmacologic Management of Pain Patient. Move to Health, Changing the Conversation", Multiple speakers, 10hrs. 05/08 DC Dental Society, " The Role of First Responders to Dental Traumatic Injuries", Dr. Asgeir Sigurdsson, 2hrs. 03/13 DC Dental Society, "An Update on Ceramic, CAD/CAM, Bonding, and implants", Dr. Markus B. Blatz, 2hrs. 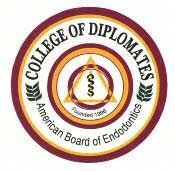 03/10 New Jersy Association of Endodontists, Dynamic Navigation in Endodontics; Root Amputation: What is possible? ; Restoratively Driven Endodontics. Drs. Charles Maupin; Rahim Karmali; Pushpak Narayana; Michael Trudeau 6hrs. 01/09 DC Dental Society, " The Infection-Inflammation/TMD-Occlusion/Airway-Sleep Apnea Connection " , Dr. DeWitt Wilkerson, 2hrs. 01/11 Penick Endodontic Study Club, Management of Neuropathic Pain, Dr. Istvan Hargitai, 2 hrs. 12/06 GWAWD, Utilzation of Botulinum Toxin A in the Practice of Dentistry, Dr. Cheryl Burgess, 2 hrs. 11/28 Maimonides Dental Society, Digital Dentistry: An Update, Dr. Radi Masri, 2 hrs. 10/04 GWAWD, Function Across the Lifecycle, Dr. James Simon, 2 hrs. 07/01 IAE 6th Annual Scientific Session, Multiple Presenters, 10 Lectures, Two Day Session, 10 hrs. 04/25 Maimonides Dental Society, Oral Pathology , Robert Ord, DDS, MD 2 hrs. Endodontic St03/30 Penick udy Club, Resorption: A Very Confusing Topic. Dr. Rick Schwartz, 2 hrs. 03/21 Maimonides Dental Society, Chronic Orofacial Pain Session II, Dr. Vanessa Benavent.2 hrs. 03/11 NJ Assn. of Endodontists, The Non-Odontogenic Toothache, Black Death & The Dental Pulp, The Interpretive Process of Endodontic Imaging, Multiple Presenters, 6 hrs. 02/01 Gr. Wash. Acad. of Women Dentists, Six Key Areas of Capital Accumulation and Protection, Ms. Ellen Tillman, 2 hours.